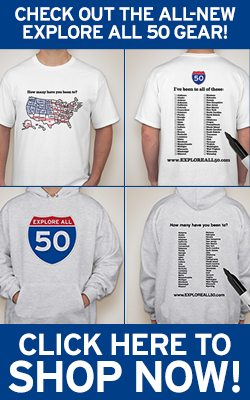 I know there are so many of you like me who are on a quest to visit all 50 states. 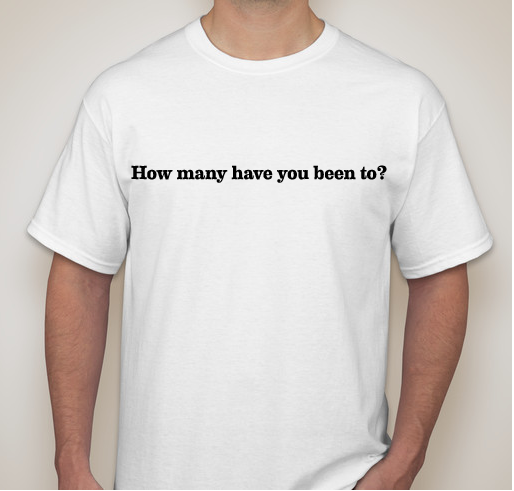 I thought it would be totally cool to have a T-shirt showcasing that fact and letting folks know how far along you are. Check it out and give me your thoughts good, bad and otherwise in the comment section. 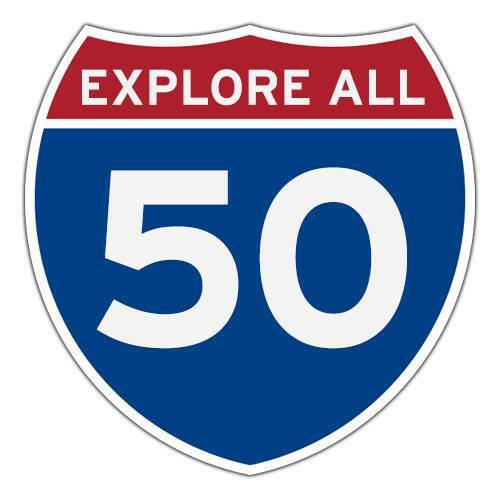 And if you've got any better ideas, send them my way to Alisa@exploreall50.com. Wanting to add a super cool t-shirt and other gear for purchase on the site featuring our logo-open to any and all suggestions. Love it. I’d order four for our family. 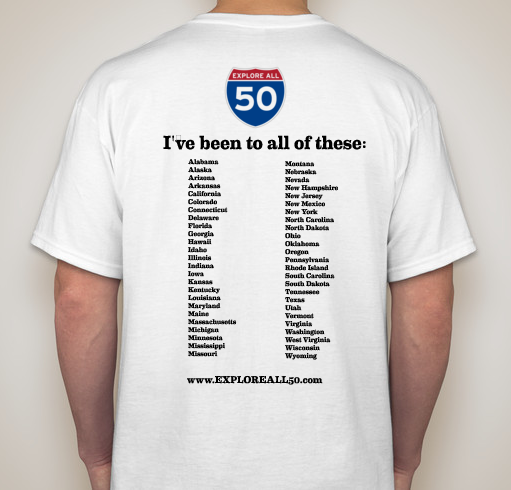 I think a map of the U.S. (including Hawaii and Alaska) would be cool to add to the front of the t-shirt. I’d buy 3 for my family. perfect shirt for a roadtrip around the US. great design! Thanks for the positive feedback Jorge!